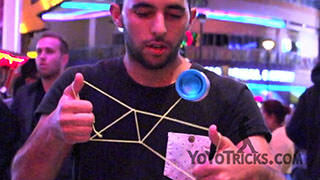 Paul Kerbel teaches his grind to green triangle trick, Kobe. 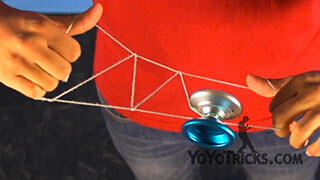 Okay, to start we need to learn how to do a GT (Green Triangle) from a Trapeze, which looks like this. 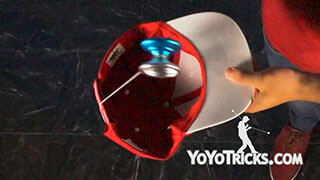 We have to pop the yoyo out of the trapeze into a kind of trapeze and brother motion but instead of landing we will make the yoyo pass behind the string segment that is attached to our yoyo finger. That will create a kink. 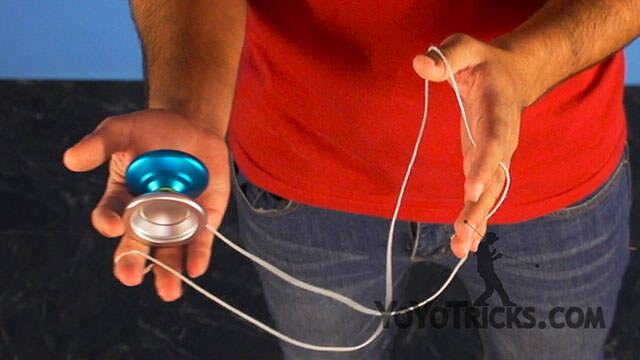 Once we get here, we want the yoyo to land in this string, which is the string that comes from the pinky of your opposite hand. 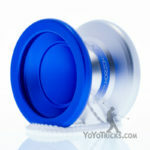 The yoyo should land on here. When you get here this is a GT, and you have to pop the yoyo out the front so that you do not get a knot. 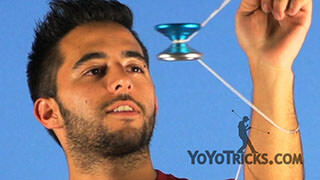 Also you have to try to make the yoyo pop and have some air, instead of just going in a circular motion. When you have more time you have time to calculate where it is going to fall. One more tip to land the GT nicely is to pull your opposite thumb towards you so you separate the strings and can land easy on the lower string, like this. Once we master all these steps, we can add the grind into the GT. 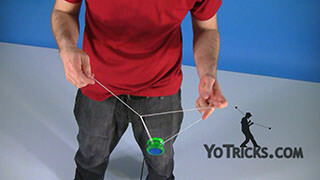 You have to make sure you don’t grab the yoyo, you just have to cup it easily into the GT. Then we can make the whole Kobe thing. And that’s how you do the Kobe. 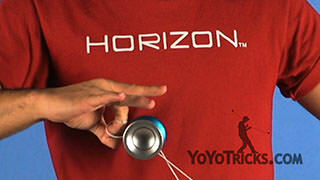 There is a bunch of variations you can also do with the Kobe, for example, adding a shoulder pop.